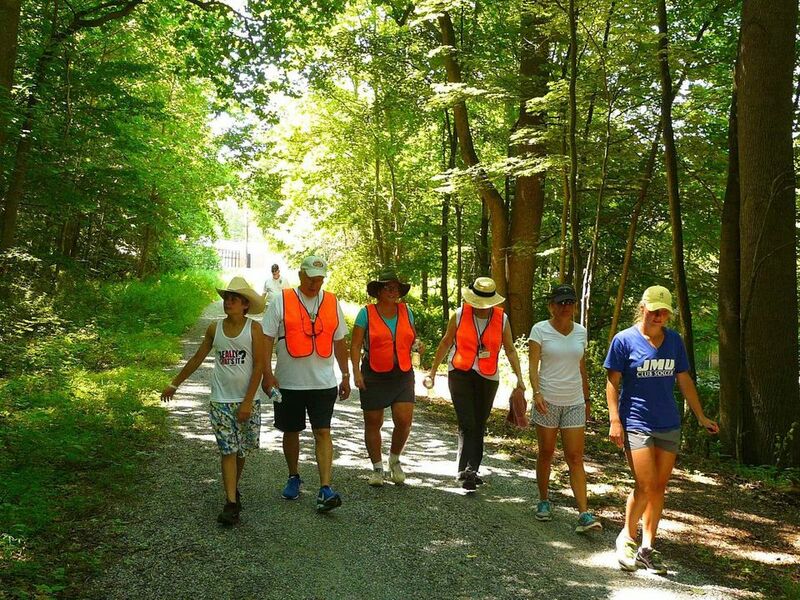 Last year's walk was reported in the Hunterdon Country Democrat. Ella Rue is an award-winning graphic designer, educator, and artist living in Califon, NJ. She is also an accomplished writer, with articles, interviews and poetry published in a variety of venues. Justin is a two-time veteran, having served overseas in both Iraq and Afghanistan. Justin joined the NJ National Guard just after high school. He was 13 years old when the twin towers were attacked. Growing up, his best friend’s father was a member of a neighboring police department and the N.J. National Guard and served a tour in Iraq. Justin was convinced by the time he was in high school that he too wanted to serve. Almost immediately after completing high school, Justin joined the NJ National Guard as Infantry and was deployed to Iraq. He returned home with undiagnosed PTSD, replete with many demons and ghosts from the war. He was home for about a year when he chose to deploy again to Afghanistan with the Rhode Island National Guard, resulting in additional baggage that he now finds difficult handling. Upon his return home Justin began to abuse alcohol and has since served two sentences in county jail/Integrity House for multiple DUIs. He’s since been released from jail/Integrity House with the hope of starting his life again fresh. and weakened immune systems are at greater risk of infection than the general public.” (Wikipedia) Equally or perhaps more troubling is the concern that Justin turned 26 in January, 2014 and thus is no longer on his parents’ insurance. Because he is no longer considered “active” with the US Army they no longer cover his health benefits. This is a two-time veteran of the United States Army, who served with honorable distinction (and although he has since been able to find insurance, it took quite a bit of doing). Those who have contributed to this project feel very strongly that this is wrong—our veterans deserve better than this. They deserve to come home and know they will be cared for. They risked their lives for our country. The very least our country should offer in return is to guarantee them a basic level of continued insurance to ensure they are able to maintain a healthy lifestyle, and resources for them to earn an education once they return home. To bring awareness to this very serious societal problem, Ella has called upon the artist community. Each of the artists involved has responded with grace and a deep concern for this societal problem and has generously given their time and talents in the hope of ultimately finding a a manner to bring more resources to both health and education issues for returning veterans. The work created for this show will be shared across the state with the hope of raising of awareness to the significant need for enhanced veteran health and education services and ultimate changes to policy. 908.500.6925 or email Ella here.